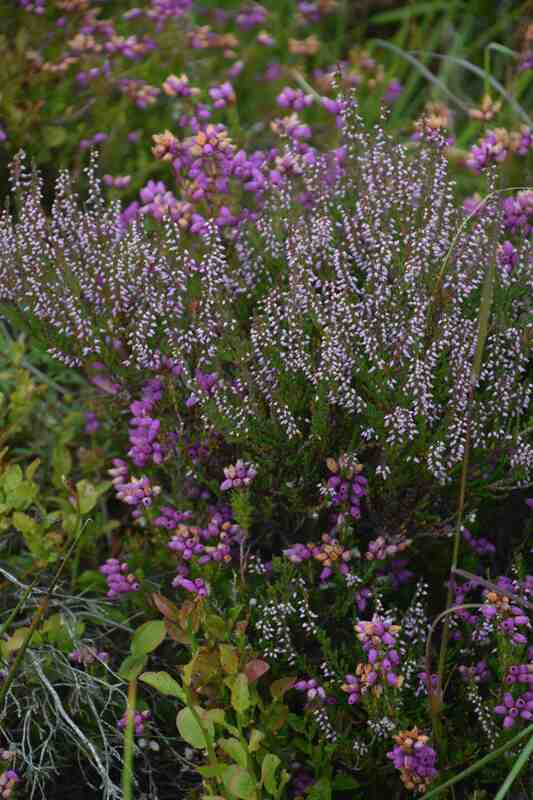 Erica cinerea and Calluna vulgaris, where they should always be seen – on a mountain! County Wicklow is commonly called the garden of Ireland and it does indeed contain some of the country’s finest gardens. 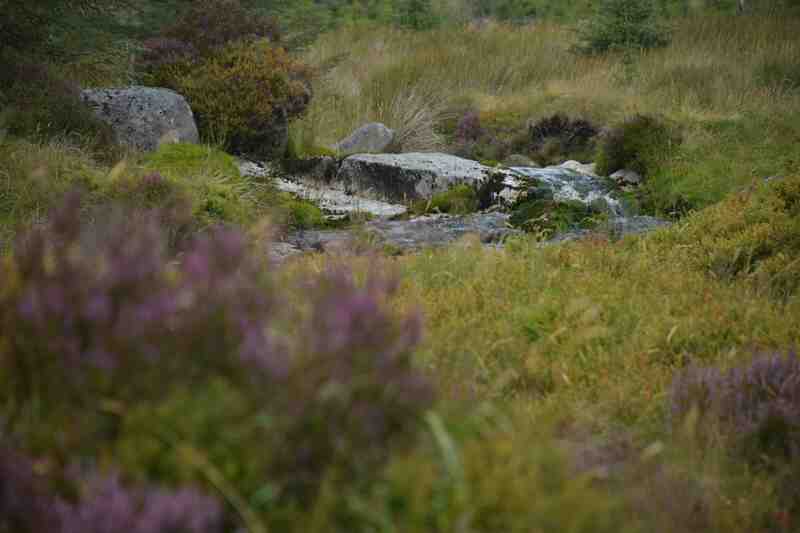 But at this time of year much of its mountainous landscape is painted with the purple of various heather and when a stream creates a sheltered channel the calm habitat is the finest heather garden you can imagine. Anyone that knows me also knows that heathers are not my favourite garden plants and I have never planted them in my own garden except for educational reasons. 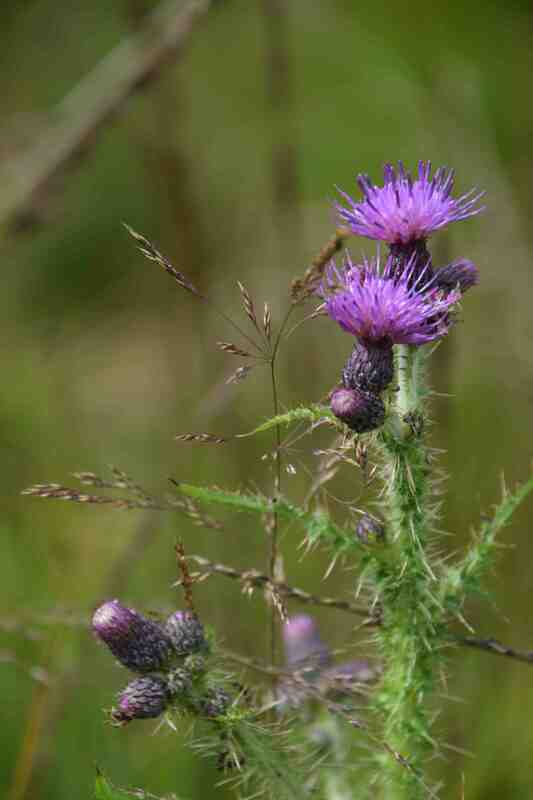 I find them difficult to place and I think they look better in the wild, despite the multitude of cultivated forms*. 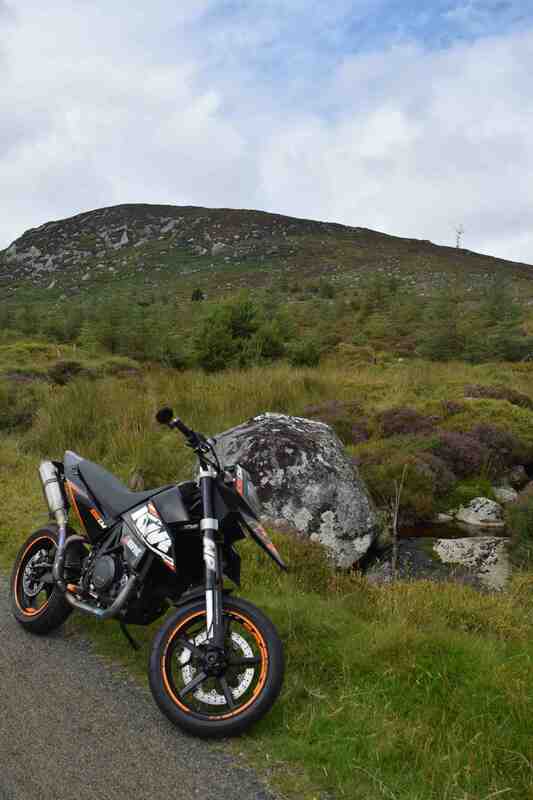 On Saturday I finally got the new bike taxed (it was a long-winded process as the previous owner had not bothered) and, hampered by the, at first odd, riding position that contrasts so strongly to the other bike, made my way up the Wicklow mountains from Laragh up the Military Road. This crosses the mountains, north to south, and was built by the British army in an attempt to defeat the rebels still active in the mountains after the rebellion in 1798. 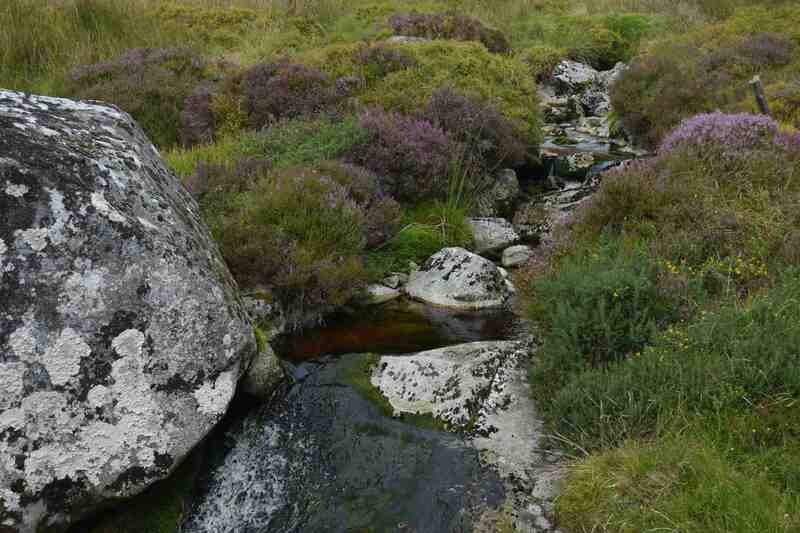 This beautiful road takes you through amazing countryside and past a beautiful waterfall and up through the Sally Gap from which you can choose your path: east, north or west. 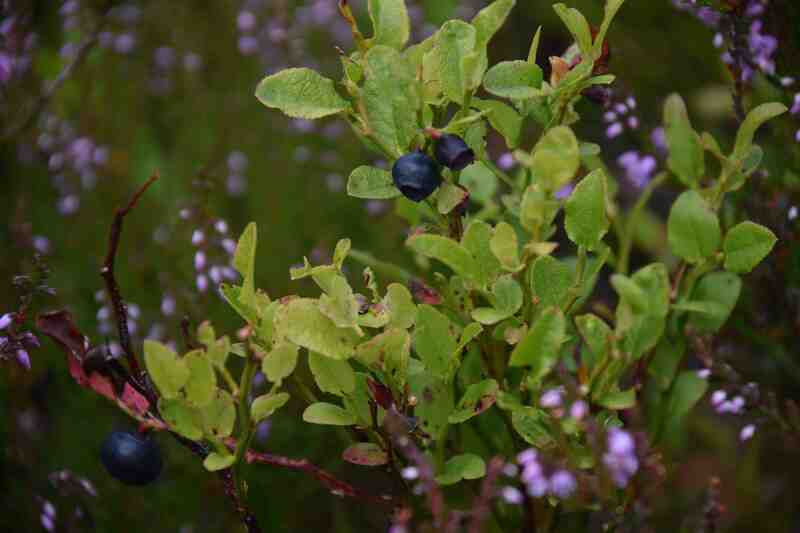 Despite the bleakness of the landscape, above the tree line, there are lots of wild flowers with insectivorous butterworts and mosses in the seepage channels, bright blue milkworts and yellow tormentils and I was there to see the bilberries in fruit. Tormentil (not seen in these photos except as yellow spots in the second photo) is a common and pretty plant that is quite widespread on acid soils, both wet and dry. It is Potentilla erecta or Néalfartach and the yellow, rose like flowers are interesting because they have only four petals. I had had starting problems with the bike but I had it on charge for a week but I was still relieved when the bike started again after I had stopped here. At least I was on a hill so I could have bump-started it if there was an issue! they fit in a cultivated garden, their natural environment always just right. 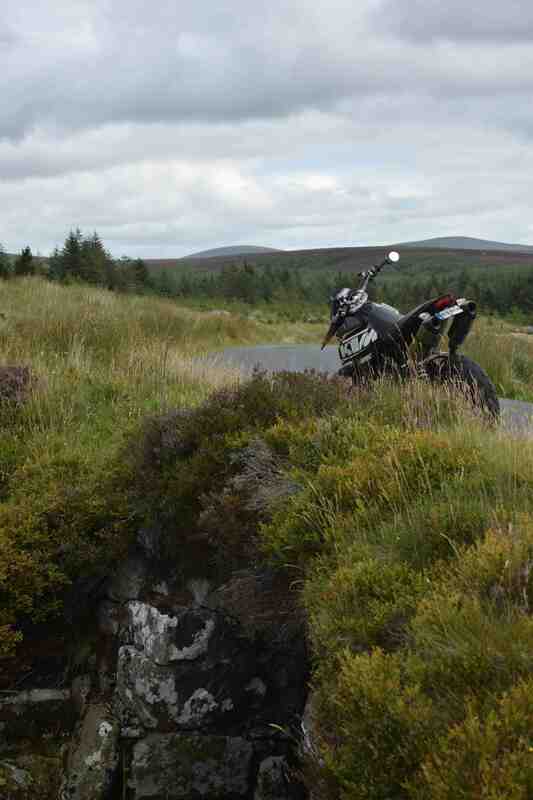 Thanks for the pictures, and the bike looks awesome!